NeuronsReaders not familiar with neurofeedback will want to might want to first review Neurofeedback: Brainwave Therapy to better understand the current report. Kouijzer et al. (2009)* investigated the effects of neurofeedback in a group of 12 male and 2 female children (ages 8-12 years with a average age of 10.1) diagnosed with Pervasive Developmental Disorder, Not Otherwise Specified. Seven of 14 participants underwent neurofeedback training (”experimental group”), while the remaining persons received no treatment (”wait-list control group” or just “control group”). Experimental groups are often compared to control groups in research to help control for experimental confounds (variables that can seriously jeopardize the results of study), placebo effects (the effects of participants belief that their health will improve even if given a sham treatment), and to determine the magnitude of a treatment. A non-randomized, pre-test/post-test design (the same set of tests were given before and after the experiment) was used. Wait-list control and experimental participants were “matched.” Matched designs attempt to make comparisons between subjects who are judged to be more or less equivalent in the variables under investigation. For example, an experimenter might “match” subjects with similar levels of depression when testing a new anti-depressant so that the actual effects of the drug can more accurately estimated. This part gets a little more technical. Based on previous research, Kouijzer et al. developed an argument that neurofeedback might improve abnormal theta-to-beta-ratios in persons with ASD. Specifically, the researchers hypothesized that a classic neurofeedback protocol called “SMR training” (inhibit frequencies less than 10Hz and enhance 12-15 Hz [often called “low beta” or “SMR”] along the cerebral motor strip using a 2 channel, C3/C4 protocol), might improve executive functioning (attention/concentration, mental flexibility, speed and efficiency, and goal setting) and communication abilities. Don’t worry about the frequency bands and names – just know that specific electrical energy of the brain was either enhanced or inhibited. The researchers reasoned and cited existing evidence that SMR training activates an important region of the brain called the anterior cingulate cortex that is responsible for cognitive and emotional regulation (a deficit in Autistic Spectrum Disorders). 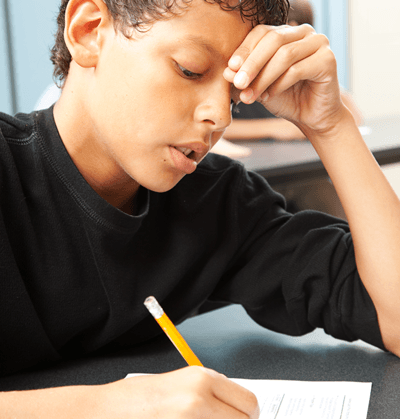 It is worth noting that elevated theta-to-beta ratios can occur in and are believed by some to be a defining feature of the EEG in attention deficit hyperactivity disorder (ADHD). Outcome measures included executive, social, and neurophysiological (QEEG) levels of functioning. All persons in the experimental group received 40 neurofeedback sessions (this is a fairly average amount of sessions in my experience). The researchers reported impressive results following the completion of neurotherapy. Experimental group participants realized statistically significant improvements in the following areas: sustained auditory selective attention (30%), inhibition of verbal responses (55%), inhibition of motor responses (15%), set shifting (57%), concept generalization (50%), and planning ability (37%). Significant improvements were also found in communication (14%), social interaction (16%), communication (17%), and typical behavior (9%). No statistically significant improvements were found in areas of verbal and visual memory and sustained attention; however, the authors’ noted that many of the participants did not exhibit deficits in these areas at the start of the study. Additionally, the post-QEEG (brainmap) did not show meaningful changes despite obvious treatment benefits. A current debate exists in the field regarding pre-post QEEGs and the factors that can account for changes or lack thereof. This is a highly technical discussion that I will not address in this report. Coming Soon: PT 2 of this research investigates whether treatment gains realized in the current study were maintained 1 year later. *Kouijzer, M., de Moor, J., Gerrits, B., Congedo, M., van Schie, H. (2009). Neurofeedback improves excutive functioning in children with austim spectrum disorders. Research in Autism Spectrum Disoders, 3, 145-162. Gary Ames believes neurofeedback is an excellent way to relieve the symptoms of: Anxiety & PTSD, ADHD, Depression, Sleep, Anger, Concussion and TBI, Migraine, Addictions, and Other Conditions.